Music is a great way to keep ourselves entertained or focus when we’re exercising, and if you’re the owner of a Samsung smartwatch, then you’ll be pleased to learn that Tidal has officially launched its app on Samsung’s smartwatches (via Engadget) where users will be able to use the app to play music on their wearables. Obviously this will require users to have an active Tidal subscription, but assuming that you do, you should be able to use the app just fine. However the good news is that if you’re planning to use the app with the watch, then you will be able to sign up for a free three-month trial to Tidal Premium so you can give it a try before you decide to committing to it. 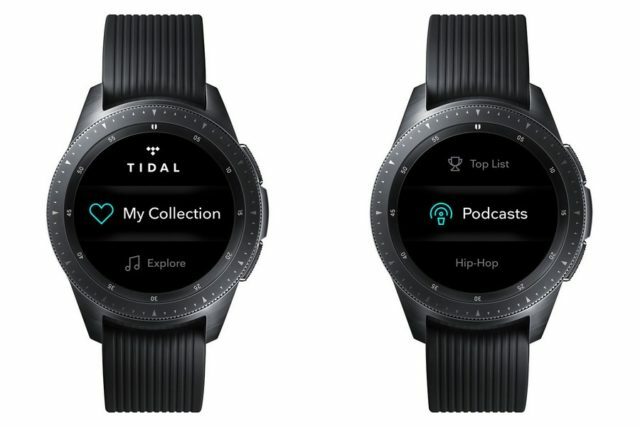 In terms of compatibility, Tidal notes that the app will be usable on devices such as the Samsung’s Gear S2, Gear S3, Gear Sport, Galaxy Watch, Gear Fit2, and Gear Fit2 Pro. One of the upsides to using the official app is that you will be able to download music and listen to it offline, meaning that you won’t actually need to bring your phone with you to listen to music, so if you’d prefer keeping your phone at home while you’re at the gym or on a run, this will let you do that. Once again this will require users to have an active subscription to Tidal, but if you already do and also own a Samsung wearable, then this could be worth checking out.